investments in health benefit the entire community. Good health is an essential ingredient for individual success and a thriving community. Healthy community members are more productive and require fewer government services and costly long-term care. Healthy kids are more likely to succeed in school and healthy adults are more likely to maintain or gain employment. 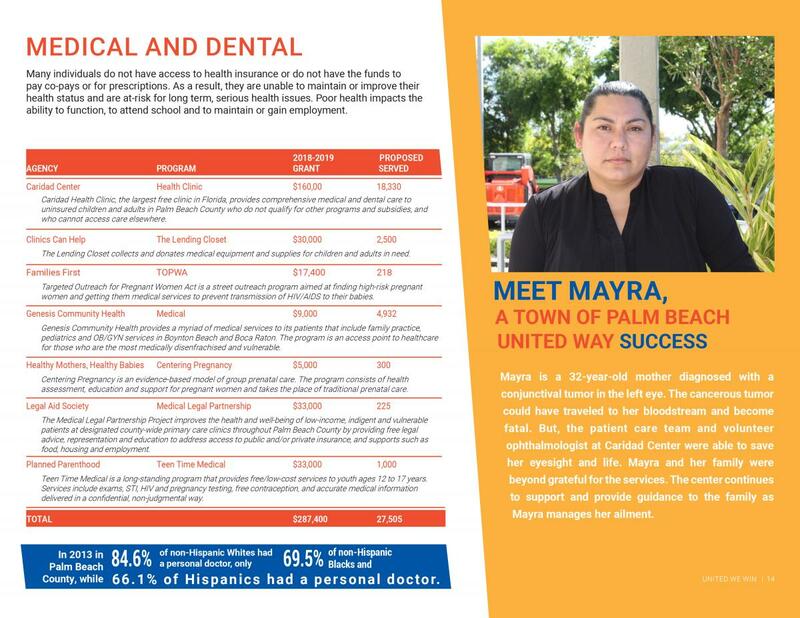 At the Town of Palm Beach United Way, we believe the whole community will flourish when all of our residents have access to quality health care. 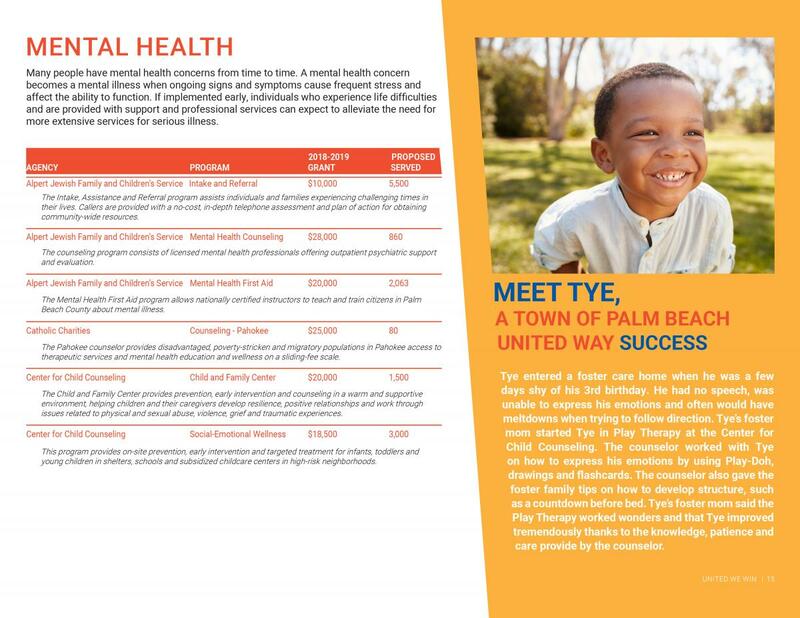 Your support of the Town of Palm Beach United Way allows us to invest $1,381,100 into health programs in Palm Beach County that help 50,052 individuals and families. 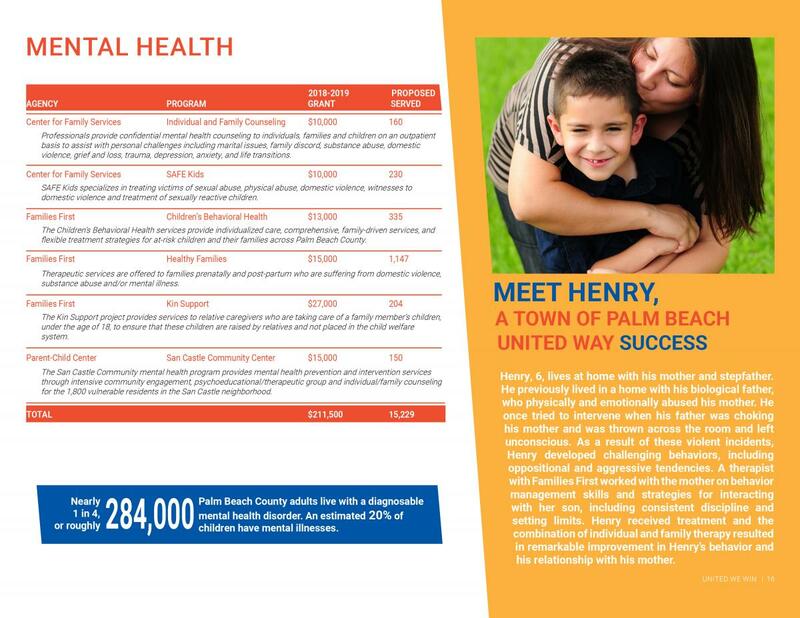 Nearly 1 in 4, or roughly 284,000 Palm Beach County adults live with a diagnosable mental health disorder. 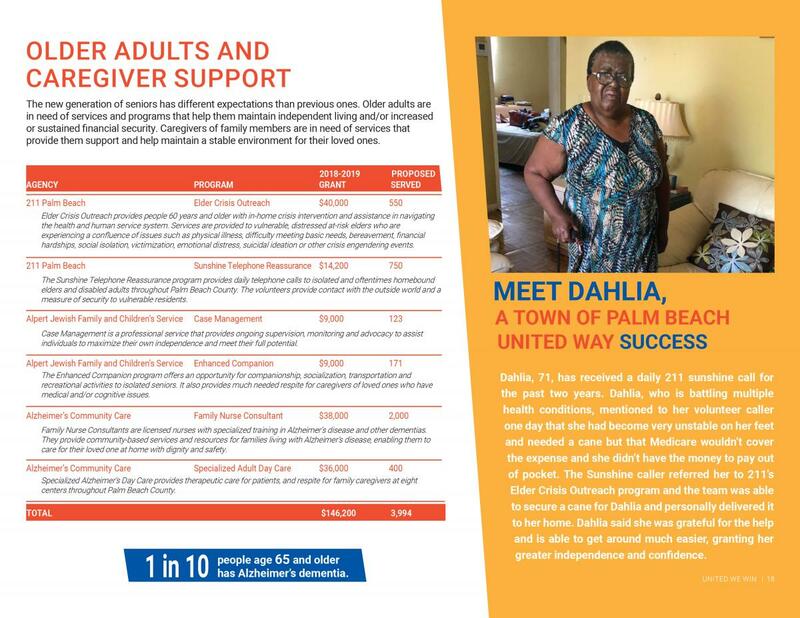 29% of persons with disabilities in Palm Beach County live at or below the poverty level.